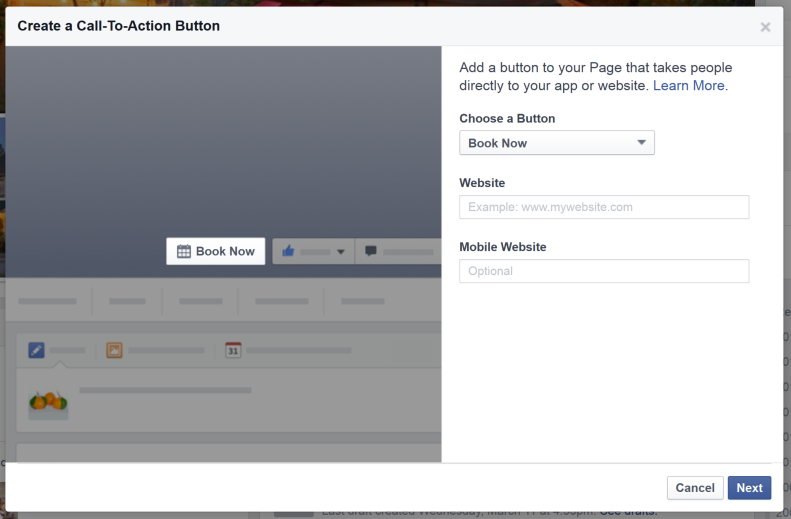 Facebook has recently opened up the ability to create a call-to-action button on your Facebook business page. Here’s a quick how to guide with photos on how to quickly create that button! 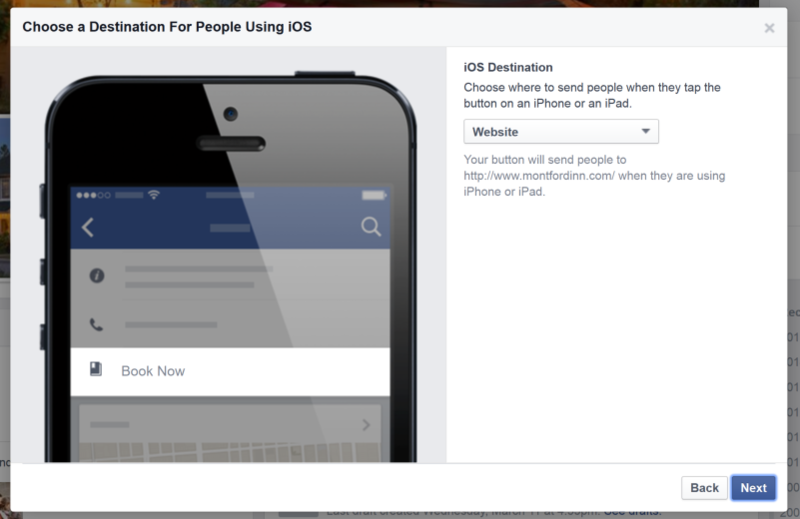 On your Facebook Page cover photo locate the “Create Call-to-Action” button and click it. A window will appear and you can choose the type of button you would like to use. We would recommend the “Book Now” button for your bed and breakfast or hotel. Next choose where the person should go when they click on the button. Here you can input your website home page, the rooms page on your website, or a direct link to your booking engine. If you have a separate mobile website then input that corresponding link in the last field. If you have a responsive website design for your bed and breakfast then leave this blank. This shows you how your button will appear on an Apple device. Keep the option selected as “Website”. This shows you how your button will appear on an Android device. Keep the option selected as “Website”. Your done. 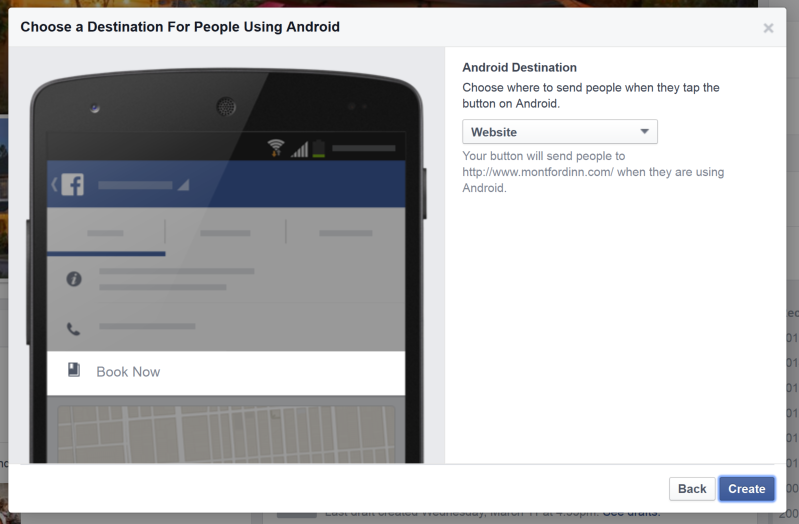 This button will now show to those who visit your Facebook page. While this change won’t cause a massive amount of bookings to your property it is another small way to move your Facebook audience to take action by visiting your website or booking a room. Have a question about the process? Feel free to contact us; we would be happy to help.